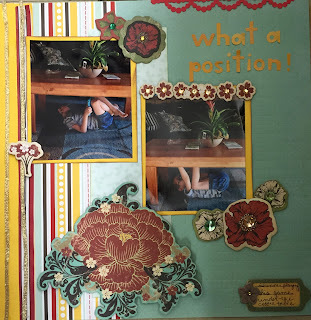 My Creative Corner: What a Position! Great layout. Love the flowers. Thanks for playing along with us at Sketches In Thyme.